5th September, 2014 Time: Starts at 2.30pm Entry Fee: £15* The walk starts in the City and takes around 2 hours to complete CRY UK is delighted to announce the ‘2014 series’ of walks with Nick Robins through the history of the East India Company - tracing its London legacy and telling its extraordinary story of boom and bust, trade and conquest. I am living in the USA during the World Cup and seeing more and more people here starting to watch, learn the rules and enjoy the game. My local cafe has the matches on the tv and the locals talk about it - often needing a little information...from their resident Brit. The viewing figures are going up but are still only a quarter of US football and with new teams coming in Miami( Beckham) and New York (reformed New York Cosmos) it will only grow. 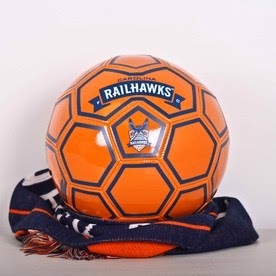 I support my local team the Carolina Railhawks which plays in one of the lower divisions and its great to see how they have started building the support base based on families coming to the game. Over the years I have had season tickets with Derby County and Watford - followed and watched Arsenal, Notts County and Brentford and more recently Accrington Stanley. Its nice to have a local team here in the US to support where i can be at the pool at 615 and then decide to go to the watch and be there for a 7pm kick off. The eminent organization behavior professor John Kotter suggests that the main reason transformation efforts fail is a lack of vision. That didn't used to be an issue for UNDP. In 1994 my old organization, Stakeholder Forum, became the first National Committee for UNDP in a donor country. It was a pleasure to be advocate to the UK government and the UK stakeholders about what UNDP was doing and the vision they had under Gus Speth. SDGs - and then there were 15? The SDG OWG 12th session started today after a three day informal last week. In the session this evening when the co-chairs introduced the report back from last Monday they made a suggestion of combining some goals so we are down from 17 to 15 in their list. Governments still to be convinced. Changes in bold. They remove a stand alone goal for climate and inequalities.